1501102 A300 BOBCAT A 300 All-Wheel Steer Loader - Parts manual, Operation and maintenance manual, Service manual. 1501103 A770 BOBCAT A 770 All-Wheel Steer Loader - Parts manual. 1501201 AL275 BOBCAT AL 275Wheel loader - Parts manual. 1501202 AL350 BOBCAT AL 350 Wheel loader - Parts manual. 1501203 AL440 BOBCAT AL 440 Wheel loader - Parts manual. 1501301 WL350 BOBCAT WL 350 Wheel loader - Parts manual. 1501302 WL440 BOBCAT WL 440 Wheel loader - Parts manual. 1501401 S70 BOBCAT S 70 Skid Steer Loaders - Parts manual, Operation and maintenance manual, Service manual. 1501402 S100 BOBCAT S 100 Skid Steer Loaders - Parts manual, Operation and maintenance manual, Service manual. 1501403 S130 BOBCAT S 130 Skid Steer Loaders - Parts manual, Operation and maintenance manual, Service manual. 1501404 S150 BOBCAT S 150 Skid Steer Loaders - Parts manual, Operation and maintenance manual, Service manual. 1501405 S160 BOBCAT S 160 Skid Steer Loaders - Parts manual, Operation and maintenance manual, Service manual. 1501406 S175 BOBCAT S 175 Skid Steer Loaders - Parts manual, Operation and maintenance manual, Service manual. 1501407 S185 BOBCAT S 185 Skid Steer Loaders - Parts manual, Operation and maintenance manual, Service manual. 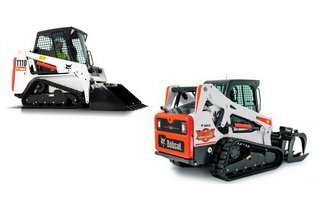 1501408 S205 BOBCAT S 205 Skid Steer Loaders - Parts manual, Operation and maintenance manual, Service manual. 1501409 S220 BOBCAT S 220 Skid Steer Loaders - Parts manual, Operation and maintenance manual, Service manual. 1501410 S250 BOBCAT S 250 Skid Steer Loaders - Parts manual, Operation and maintenance manual, Service manual. 1501411 S300 BOBCAT S 300 Skid Steer Loaders - Parts manual, Operation and maintenance manual, Service manual. 1501412 S330 BOBCAT S 330 Skid Steer Loaders - Parts manual, Operation and maintenance manual, Service manual. 1501413 S510 BOBCAT S 510 Skid Steer Loaders - Parts manual. 1501414 S530 BOBCAT S 530 Skid Steer Loaders - Parts manual. 1501415 S550 BOBCAT S 550 Skid Steer Loaders - Parts manual. 1501416 S570 BOBCAT S 570 Skid Steer Loaders - Parts manual. 1501417 S590 BOBCAT S 590 Skid Steer Loaders - Parts manual. 1501418 S630 BOBCAT S 630 Skid Steer Loaders - Parts manual. 1501419 S650 BOBCAT S 650 Skid Steer Loaders - Parts manual. 1501420 S750 BOBCAT S 750 Skid Steer Loaders - Parts manual. 1501421 S770 BOBCAT S 770 Skid Steer Loaders - Parts manual. 1501422 S850 BOBCAT S 850 Skid Steer Loaders - Parts manual. 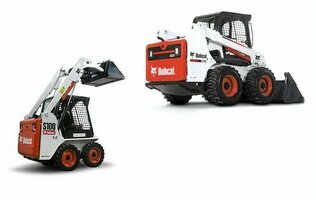 1501501 310 BOBCAT 310 Skid Steer Loaders - Parts manual, Operation and maintenance manual, Service manual. 1501502 313 BOBCAT 313 Skid Steer Loaders - Parts manual, Operation and maintenance manual, Service manual. 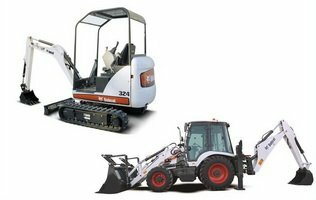 1501503 371 BOBCAT 371 Skid Steer Loaders - Parts manual, Operation and maintenance manual, Service manual. 1501504 400 BOBCAT 400 Skid Steer Loaders - Parts manual. 1501505 443 BOBCAT 443 Skid Steer Loaders - Parts manual, Operation and maintenance manual, Service manual. 1501506 444 BOBCAT 444 Skid Steer Loaders - Parts manual, Operation and maintenance manual, Service manual. 1501507 450 BOBCAT 450 Skid Steer Loaders - Parts manual, Operation and maintenance manual, Service manual. 1501508 453 BOBCAT 453 Skid Steer Loaders - Parts manual, Operation and maintenance manual, Service manual. 1501509 463 BOBCAT 463 Skid Steer Loaders - Parts manual, Operation and maintenance manual, Service manual. 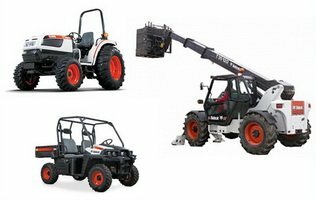 1501510 500 BOBCAT 500 Skid Steer Loaders - Parts manual, Operation and maintenance manual, Service manual. 1501511 520 BOBCAT 520 Skid Steer Loaders - Parts manual, Operation and maintenance manual, Service manual. 1501512 530 BOBCAT 530 Skid Steer Loaders - Parts manual, Operation and maintenance manual, Service manual, Parts manual. 1501513 533 BOBCAT 533 Skid Steer Loaders - Operation and maintenance manual.